WOW! This video is awesome! Thank you, Roi Brignac, for videotaping and editing it. It looks so good! Can't wait until next year! Enjoy everyone! Una Bulla!! SAVE THE DATE! Cuban Festival in Los Angeles - This one comes earlier than the one in Long Beach. 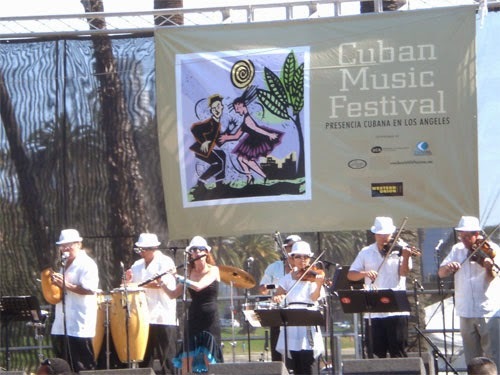 This festival celebrates the cultural heritage of the Cuban community living throughout the greater Los Angeles area. 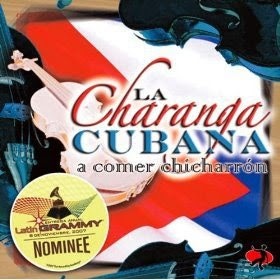 Come and enjoy live performances, arts and crafts, Cuban food, and activities for children. The event also commemorates the island’s freedom from Spain on May 20, 1902. WHEN: Sunday, May 18, 2014 @ 12:00p.m. – 7:00 p.m.
March 29th was one of the best rueda dance days ever! Our flash mob in Carlsbad was so much fun and took a lot of people by surprise who watched. We had an enthusiastic group of happy casineros who participated. Some even drove all the way from Orange County and one came from Boston!!! Many thanks to all the callers who helped me (Vidal Cordova and Tim Snedeker). You are awesome! We had a couple of videographers out there, so we have a few to share. One is on its way as it is being edited. Thank you Marina Dotsenko for posting this one! You ROCK!! Our Flash Mob rueda participants...you are the best! It is not on YouTube yet. Here is the link to the Facebook Carlsbad Flash Mob video. Let's start the weekend celebrating Rueda-Around-The-World weekend by carpooling to Riverside and checking out the fun Mambo Nights scene at Room to Dance Studio this coming Friday. Come meet and dance with casineros from Riverside! COST: If you need a ride, pay your driver $10 person for gas. Mambo Night is $10 for entrance. TIMBALIVE, Isaac Delgado, La Charanga Cubana and other bands to be announced will be playing at this festival. This sounds like a road trip to me. Anyone interested in renting a "timbus" to this event? Get it? Timba + a bus = a timbus. We can rent a regular bus which can fit 49 people. If we get all 49 seats filled, It will be $35/person. This will include 5 San Diego stops. Stop #1: Fashion Outlet of the Americas(Chula Vista); Stop #2: Old Town Train Station; Stop #3: Vista Sorrento Park N Ride(nearest La Jolla); Stop #4: Encinitas CVS Parking Lot; Stop #5 Carlsbad Westfield Mall SW Corner Parking Lot (closest to Olive Garden). All 5 pick ups to the Cuban Festival is 3 hours. They charge by the hour, so we will need to be ON TIME. I need to know if you are in or out by paying the $35 on PayPal by this Wednesday. Please e-mail me if you are in and I will send you an invoice through Pay Pal. You have until Wednesday to confirm with me and pay. If we onlyget 40 people, the price per person goes up to $45.00/person. PLEASE KNOW that if we do not fill the bus, I'm canceling the bus by Wednesday.It's not personal, it's just business. Below are the details about the festival price per person. Scroll down on this website to the bottom and the link to purchase tickets is there. See below for the listed ticket price. I have registered our rueda de casino flash mob participation for Carlsbad. Our flash mob location is in the busiest part of Carlsbad by the beach. Tons of tourists walk around this place. 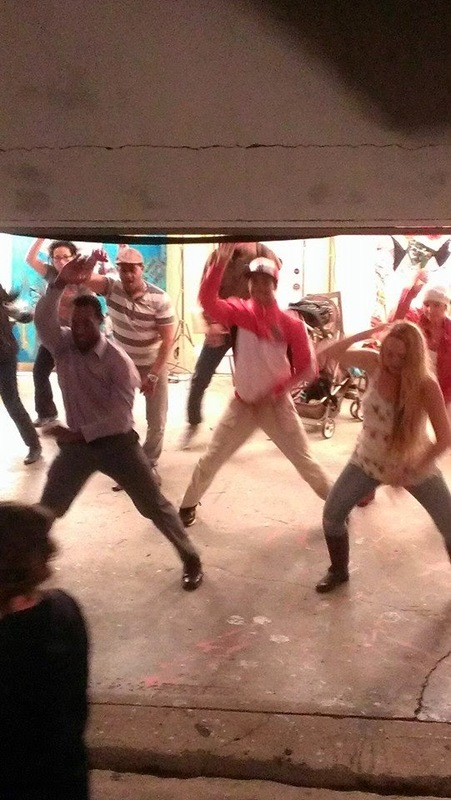 THE FLASH MOB LOCATION IS A SECRET. Where: Rehearsal location is in front (across the street) of the Museum of Making Music in front of the flower fields. Use this Google Maps link to find our rehearsal spot. We will run through some fun rueda moves. It is an impromptu rehearsal and you MUST COME with a pair. No solo dancers. If you are solo, I will make you a videographer because we need a few folks to videotape. Confirm ahead of time who will be your partner. Contact me if you have questions or are interested in participating by e-mail: sbdiva32@yahoo.com or by phone (206)300-4523. We want this flash mob to be evenly paired so it looks good. Once I receive your confirmation (and your confirmed pair), I will send you the Google Map location of the flash mob zone in Carlsbad. This is NOT for brand new people who have not taken a rueda class yet. It is a flash mob with casineros taking classes already and know basic beginner moves and intermediate moves (most importantly, group moves). We are going outside to dance casino and rueda de casino outside. That's the way we do it in San Diego for timberos, casineros and salseros! The one event you can hear timba non-stop on the playlist. This time we will be dancing on "concrete" at Moonlight State Beach in Encinitas. So come out get your beach chairs and snacks to share and we will dance during sunset time. We will be located near the bathrooms on the concrete. Check out the event page photo. If the lookout point is available we will move there but for now, next to the concession stand. Just follow the music. Things to bring: a snack to share, and drinks for yourself, beach chairs, blankets, a light sweater and a camera for the sunset rueda pictures! Cuban Salsa and Rueda classes starting at Studio K! NEW BEGINNER Progressive Cuban Salsa & Rueda classes beginning March 30th! Join us for a FREE demo class on Cuban salsa and Rueda de Casino on Sunday, March 23rd at 1pm. Taught by Vidal Cordova, who has danced, performed and taught Cuban salsa in San Diego and salsa festivals throughout California. The free demo class will be from 1pm to 2:00pm on Sunday, March 23rd. This is the kick-off for a NEW 6-week Progressive Series for Beginners starting on Sunday, March 30th from 1:00pm-2:00pm. 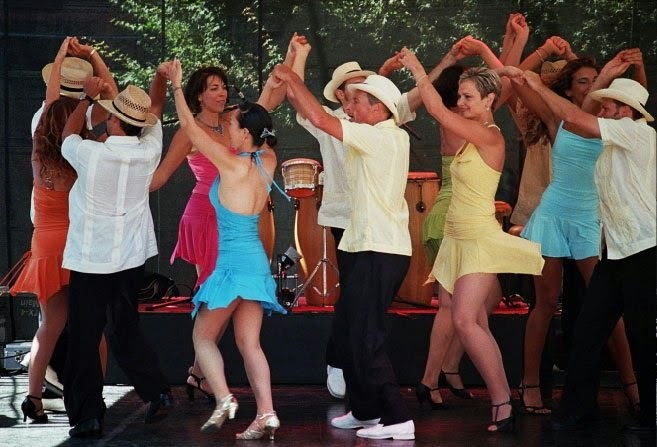 Learn fun salsa steps and moves Cuban style in a group setting and get your workout all in the same session! Studio K, 9340 Clairemont Mesa Blvd, Suite F, San Diego, CA 92123 (in Kearny Mesa). Sunday, March 30th through May 4th (six consecutive Sundays). 1:00pm-2:30pm each session. Email questions to salsacasinosandiego@gmail.com. Ahi na' ma! Our next class will be on Saturday, March 8th. Beginner level starts at 11:30am and Intermediate level starts at 12:30pm. Suggested donation of $5/person. 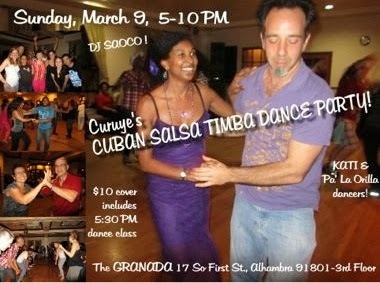 In L.A.: CURUYE's MARCH CUBAN SALSA TIMBA PARTY! 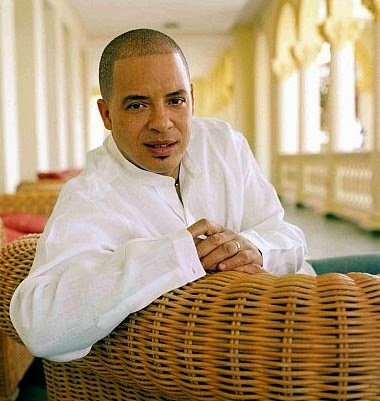 SUNDAY, MARCH 9, 5-10 PM: CURUYE’s CUBAN SALSA TIMBA DANCE PARTY! DJ SAOCO spinning the best and latest CUBAN DANCE MUSIC for you to dance CASINO (CUBAN SALSA), RUEDA de CASINO, SON, y REGGAETÓN! AFRO TIMBA class @ 5:30 PM w/ KATI HERNÁNDEZ & PA’ LA ORILLA DANCERS,, and we have some special dance activities planned since KATI HERNÁNDEZ, PAULA WARD, DONNA WILLIAMS, MATHIEU VEDEL, PIRITO CORDOVA, ENRICO GASPERONI, LUDIS BENÍTEZ are celebrating BIRTHDAYS at The GRANADA (3rd floor) 17 So. First St., Alhambra 91801. $10 cover includes class. 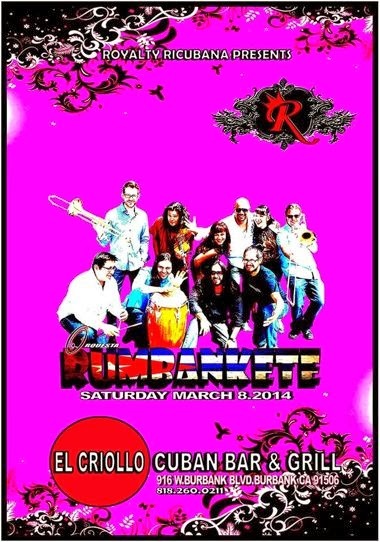 SATURDAY, MARCH 8, RUMBANKETE performs at CUBAN NITES @ EL CRIOLLO CUBAN BAR & GRILL! hosted by ROYALTY RICUBANA. DJ RICUBANA spinning from 9 PM. 8 PM-Dance Class. Dinner reservations (818)260-0211. EL CRIOLLO CUBAN BAR & GRILL 916 W. Burbank Blvd, Burbank, California 91506. $15.